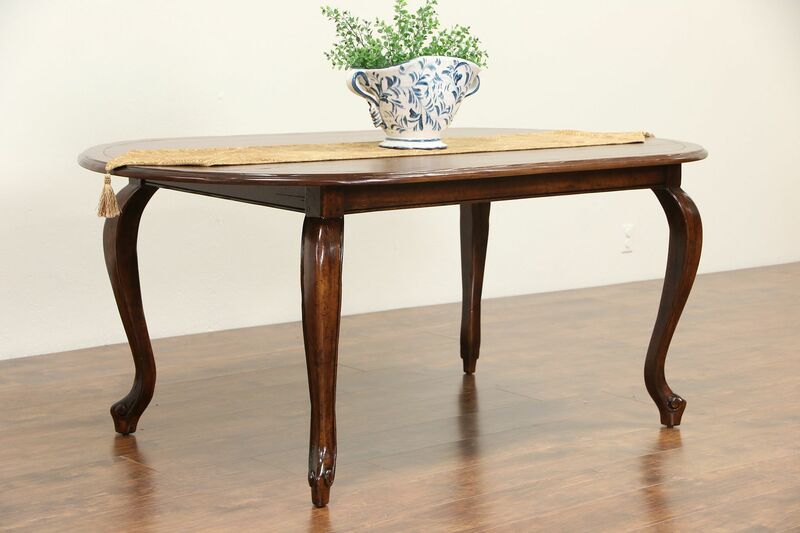 A Country French oval dining table from about 20 years ago all in fruitwood has an excellent finish. Distressed to look antique, this vintage furniture has authentic carved wooden pegs at the joints. The signature is lost on this sturdy and strong table, chairs were sold separately. Table size is 6' long, 40" wide, 30" tall and legroom is 26" underneath. Chairs sold separately, call or email for availability.